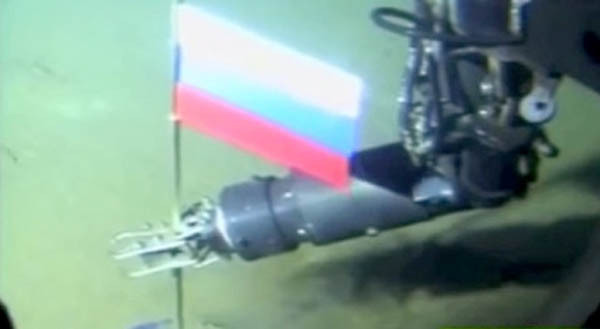 Yet another Pole dance: Russia submits new claim saying it owns North Pole to U.N. It could be called a fight for the northernmost chunk of ice in the world, except by the time it’s decided the water might be warm enough to go swimming. 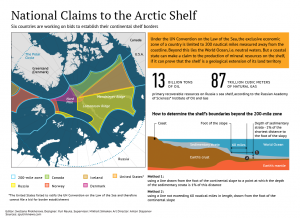 The expected thaw is, of course, one of the primary reasons multiple countries are now engaged in a turf war for the North Pole, with the latest salvo fired this week by Russia as it submitted a claim for 1.2 million square kilometers of the Arctic sea shelf to the United Nations. Russia was the first to submit a claim to the Pole in 2002, but the U.N. rejected it, citing lack of evidence. A chart shows existing territorial rights and overlapping claims by various nation to the Arctic, although details of how the United Nations will evaluate the claims under existing law. Chart courtesy of Sputnik News. Denmark and Canada have since claimed rights to large regions including the Pole as part of a larger battle for Arctic turn that also includes Norway and the United States. Analysts have stated it may take 20 years before such claims are resolved – and previous resolutions haven’t ended the territorial disputes. The boundary wars are mostly about money, since experts say the Arctic may contain a quarter of the world’s remaining oil. Countries are filing their claims with an eye on the long-term future, as climate change is expected to open up previously inaccessible areas to drilling, as well as other activities such as commercial shipping. Russia’s new claim would expand the country’s territory by 1.2 million square kilometers, according to Barents Observer. The area includes an estimated 594 oil fields and 159 gas fields, plus and more then 350 gold deposits. The estimated recoverable fuel resources would be 60 percent of Russia’s total hydrocarbon resources.